In our quaint little Lowertown neighborhood there is one saloon that sticks out a bit more than most. 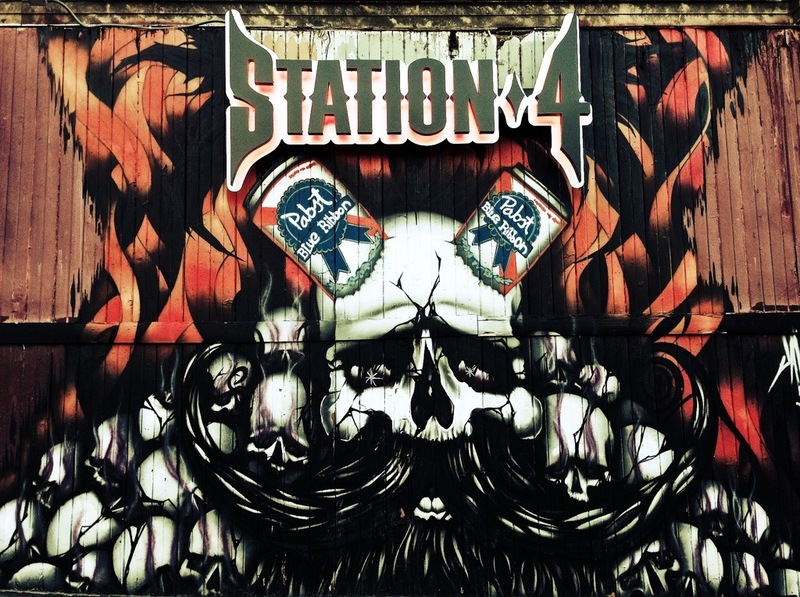 Station 4 is the resident heavy metal bar that typically has lines wrapped around the block and big tour buses parked on the narrow streets. It’s not unusual for well known hard rockin’ bands to make a stop at this tiny place that only holds a couple hundred at maximum. This mural painted on the outside of the establishment is both intriguing and horrifying, and the subject of day 93 for project Photo 365. This entry was posted in Photography and tagged Heavy Metal, Lowertown, Photo 365, Saint Paul, Station 4. Bookmark the permalink.